BAPCo® Releases SYSmark® 2014 SE – The Latest Version of the Premier PC Performance Metric Adds a New Responsiveness Scenario and Energy Consumption Measurement. San Mateo, California – November 28th, 2016 – SYSmark® 2014 SE (Second Edition), the latest version of the premier performance metric that measures and compares PC performance based on real world applications was released today by the Business Application Performance Corporation (BAPCo®), a non-profit consortium of leading PC hardware manufacturers and semiconductor manufacturers. SYSmark 2014 SE extends the SYSmark family, alongside MobileMark® and TabletMark®, which have been widely accepted by IT Managers, PC OEMs, press and analysts worldwide. SYSmark reflects usage patterns of business users in the areas of Office Productivity, Data/Financial Analysis and Media Creation. Joining these in SYSmark 2014 SE is a new Responsiveness scenario which models ‘pain points’ in the user experience when performing common activities that include: application launches, file launches, web browsing with multiple tabs, multi-tasking, file opens, image manipulation, file encryption, file compression and background application installation. With the purchase of a supported power meter, SYSmark 2014 SE now offers users the ability to measure energy consumption over the course of a benchmark run. This provides an easy-to-use tool allowing small businesses, corporations and government organizations to factor energy consumption into their internal total cost of ownership procurement calculations. Flexible licensing options are now available for small business to enterprise organizations running 64-bit versions of Windows 7, 8.1 and 10. Since 1991, the SYSmark family of benchmarks has been used by PC OEMs, hardware and software developers, IT departments, system integrators, publishers and testing labs as well as information technologists and computer industry analysts. BAPCo’s SYSmark 2014 SE builds upon its predecessors, utilizing the strongest and broadest development team in PC benchmark history. BAPCo’s membership represents the breadth of the computing industry and harnesses a consortium of experts. 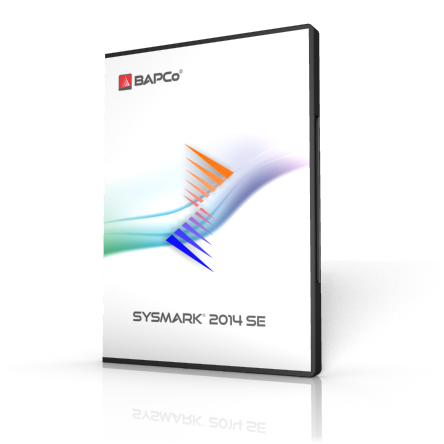 BAPCo’s SYSmark 2014 SE is available from resellers and directly from BAPCo at store.bapco.com. BAPCo, SYSmark, MobileMark and TabletMark are registered trademarks of the Business Applications Performance Corporation. TabletMark is a trademark of the Business Applications Performance Corporation. All other names mentioned are trademarks, or registered trademarks of their respective companies.